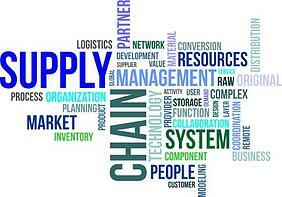 Supply chain management goes far beyond merely keeping track of all the SKUs currently on sale. It also means tracking the parts going into the products, since those parts are also potentially going to be used for post-sale support if necessary. If you can't trust your components to be legitimate and trustworthy, backed by a solid chain-of-possession, then every aspect of your electronics operation may be in jeopardy. If you haven't thought about the ways that inventory management problems might impact your electronics manufacturing, here are a few things to chew on. If you do your prototyping in-house, it's likely that your R&D team is using "off the shelf" components in your inventory for much of their experimenting. To gauge the viability of a prototype, you need to be absolutely certain that the components which have gone into it are legitimate and fully up-to-spec. Otherwise, if the prototype fails, your staff may end up in a situation that's worse than "square one" because they'll have no solid way of knowing whether the design failed due to their error, or because of faulty components. You have to offer a warranty with your product, and the length of the warranty can be a powerful sales tool. However, the length of the warranty will also largely depend on just how much you trust your products to stand up to months or years of usage. If you're using unverified or low-quality parts, the fail rate will be higher and the warranty period will necessarily have to be smaller to maintain profits. This is damaging to the business as a whole, as well as potentially driving customers to manufacturers with better-built products. A single well-publicized recall could create years worth of poor PR to overcome. It used to be bad products only made the news if they blew up or caused serious head trauma. Today, it's just one more piece of bad news fueling the 24/7 media cycle, and it's something any good electronics firm would be wise to avoid. Additionally, news travels fast among electronics industry professionals. You want your company name to carry great recommendations with it, not a bad news story. If you aren't keeping good tabs on your inventory and supply chain, it could cause big cost-overruns on post-sale support. Every component shipped to a customer and every unit brought in for repair ultimately costs you more money. If the components shipped out are also faulty, then that just piles unnecessary costs on top of unnecessary costs. Proper supply line oversight may require some expenditure to set up, but it's a bedrock requirement for an electronics concern that wants to be taken seriously in today's market. Products known to contain counterfeit parts or generally-shoddy lowest-bidder components are going to quickly turn into money pits. The simplest solution to these issues is also the most overall elegant: Rather than using questionable low-cost manufacturers, hire an electronics assembly plant which has these inventory controls built into their processes. If your manufacturer can show you, in black and white, the provenance of their parts, then you can put your product on the market with real peace of mind.